Allan Zola Kronzek has been performing and inventing magic for over half a century. 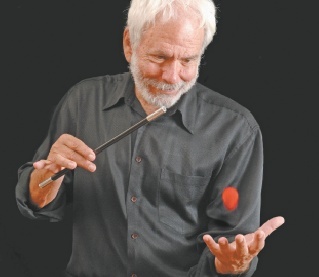 He will be performing and teaching all of the effects in every detail in his latest critically acclaimed book Artful Deceptions The Impromptu Magic Of Allan Zola Kronzek. For those interested, you may buy the book from Allan after the lecture. Tickets are $25.00 each. First sold, First seating choice. Seating is limited, so get your tickets today at Ronjo.com or in our showroom! The lecture will take place at Ronjo Magic and Costumes located at 1651 Route 112, Port Jefferson Station NY. Don’t wait, get your tickets today!